This is a particularly interesting site, first mentioned as the Priest's House in 1573. It was inherited by Thomas Clutterbuck, a brewer, in 1772. It was rebuilt at about that time. The windows appear to be later, say 1840. It was good to see a picture of this Pub, as my mum says her Auntie Ethel used to run the pub and she remembers the long tube journey to visit and all the crates of bottles of beer piled up in the hall. she will be delighted to see this photograph. 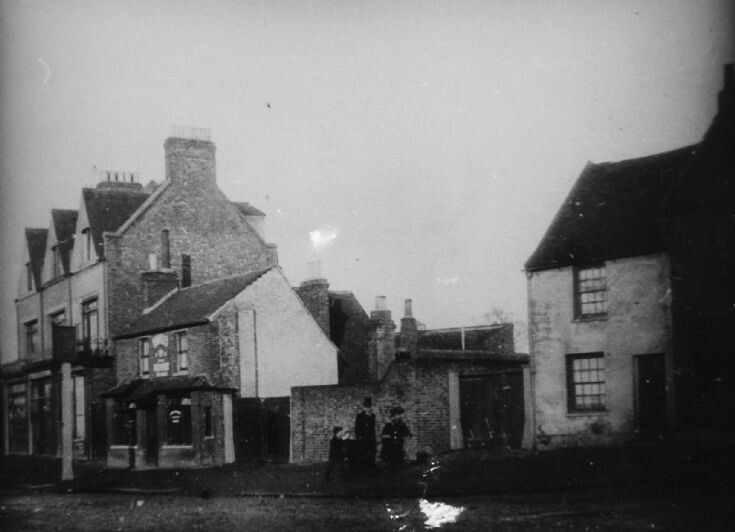 Does the pub/building still exist and does anyone have any further information about the family who ran the pub - probably in 1940's.